KAUAI, Hawaii, Dec. 11, 2018 /PRNewswire/ -- PACIFIC MISSILE RANGE FACILITY -- The latest evolution of the Aegis Combat System, Baseline 9.B2.0 (BMD 5.1), further advanced engage on remote technologies following a successful U.S. Navy- and Missile Defense Agency-led on-land ballistic missile defense system test event. During the test, the Lockheed Martin (NYSE: LMT)-built Aegis Weapon System engaged and intercepted an Intermediate Range Ballistic Missile (IRBM) target with an interceptor missile based on ground-based radar track and discrimination data provided by Command and Control, Battle Management and Communications (C2BMC). The test, called the Flight Test Integrated-03 (FTI-03), demonstrated the integrated and interoperable capabilities of the Aegis Weapon System to utilize remote sensor data provided by C2BMC to engage a missile from Aegis Ashore in a successful first-ever test event. The networked capability of the engage on remote technology provides an additional layer of defense to warfighters by providing even more time to react to threats. The test builds on the successful USS John Finn (DDG 113) FTM-45 test in October that demonstrated the integrated capabilities of the Aegis Weapon System and how it has continually evolved to counter advanced threats. It demonstrated the new take down assessment functionality, bi-directional communications and sensor improvement algorithms. This capability is an innovative take down assessment that uses infrared and sensor data correlation to achieve the mission. "This test authenticates the strengthening global security of the U.S. and its allies as we deepen the defense capabilities with the Aegis Ballistic Missile Defense System," said Paul Klammer, director, Lockheed Martin Aegis BMD. "This exercise showed that Aegis is the most advanced combat system and the proven choice for a layered defense." This test builds upon joint research investments by the United States and Japan and comes on the heels of a successful test with the JS ATAGO (DDG 177) in September. Lockheed Martin is developing a Baseline 9/BMD 5.1 variant computer program, for deployment on Japan's Aegis destroyers. As a proven world leader in systems integration and development of air and missile defense systems and technologies, Lockheed Martin delivers high-quality missile defense solutions that protect citizens, critical assets and deployed forces from current and future threats. 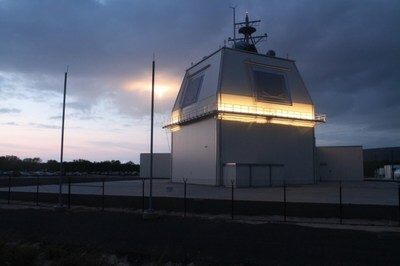 The company's experience spans missile design and production, hit-to-kill capabilities, infrared seekers, command and control/battle management, and communications, precision pointing and tracking optics, radar and signal processing, as well as threat-representative targets for missile defense tests.